Avene Hydrance Optimale Light is formulated with patent-pending ingredients to provide long-lasting hydration and to help restore smoothness and luminosity. Avene Hydrance Optimale Light contains sebo-regulating capsules to absorb excess oil for a shine-free finish, while the Avene thermal spring water soothes and softens, providing the skin with long-lasting hydration that helps skin regain its balance. 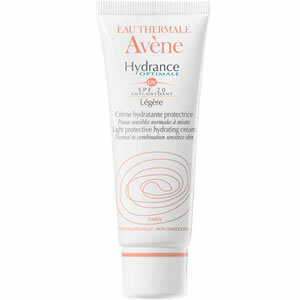 Avene Hydrance Optimale Light restores radiance, leaving skin that feels soft, looks smooth and healthy and has minimum evidence of fine lines.